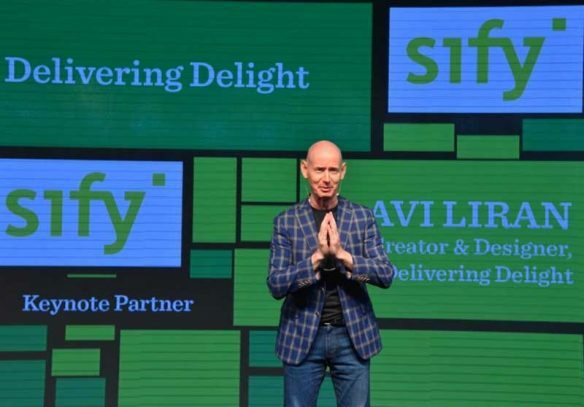 For the 3rd time in a row Sify Technologies was the Keynote partner and positioned itself right at the top above other partners like Intel, Samsung, AWS, CTRLS , Oracle and others. The 13th India Edition of CIO 100 Symposium and Awards, Oscars of the IT industry, celebrated top Digital Architects of India. This year the event turned the spotlight on key themes such as Reimagineering India 2020, Daring to Delight, Customer Innovation, Scaling for Global Impact chaired by eminent personalities like Mr. Avi Liran, Mr. Raymond Miranda, SBI CDO Mr. Mrityunjay Mahapatra. The symposium also included sessions on future technologies such as artificial intelligence, advanced analytics and augmented reality. 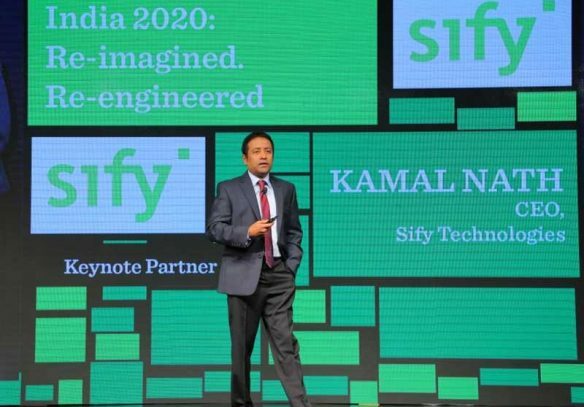 Sify CEO delivered the Keynote address and took a cue from Digitization of India Post and its impact across India. He highlighted upon changing dynamics in the rural states and technology enablement in the fields of Education, Healthcare, Finance, Food & Nutrition. “ Digital ICT is embedded at the core of everything and inside every industry” Mr. Kamal Nath Said. He concluded by sharing the changing personas of a CIO and key digital tools to execution. 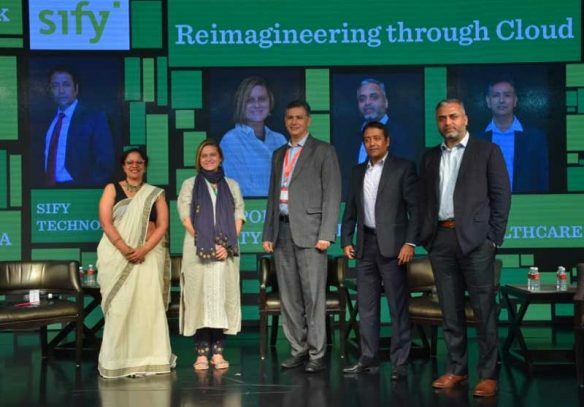 As part of our Cloud @ Core strategy Sify along with IDG constructed a first of its kind Cloud Think Tank- a panel of eminent CIOs who came together to share the future of Cloud and the insecurities surrounding it. 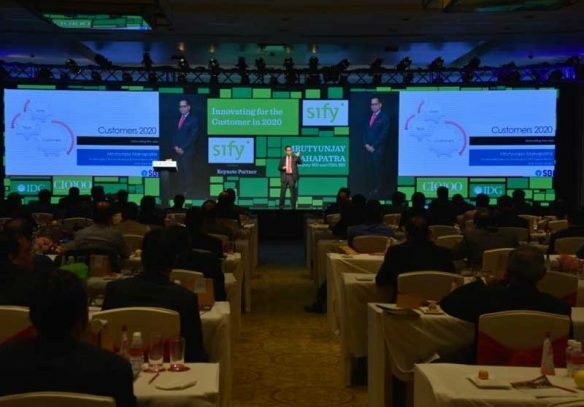 Our customer Max CIO shared a presentation on how Sify has helped them in their digital transformation journey and the evolution of Cloud in the healthcare vertical. Ms. Lisa from Apollo presented the global manufacturing and automotive industry context in enabling cloud technology. Mr. Ravinder from Air Vistara acknowledged adopting cloud is the easiest decision from CAPEX perspective and their expectations from Cloud to the next level of digitization. Our CEO concluded the session by sharing a view on Cloud enhanced services driving key digital businesses and our Cloud @ Core strategy on how it is aligned to our customers journey. 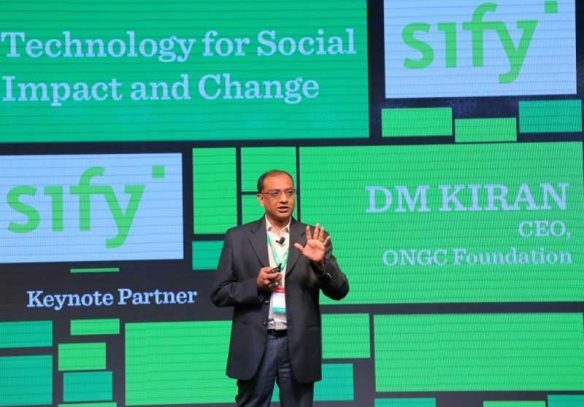 The Sify Experience Zone at the event stood out and helped in driving interactions with CIOs while engaging them through experiential activities. There were 80 plus CIOs at the zone to engage with Sify Senior leadership team- Mr. Sandeep M, Mr. Nihar C, Mr. Pankaj G, Mr. Aman M, Mr. Dhyanesh Mr. T, Chinamy M, and Mr. Arvind G.